Is it hard to quit kratom? As the herbal remedy is not considered addictive either physically or mentally, it should not be difficult to stop using it whenever you choose to. However, if any recent changes are making you wonder if you should you quit kratom, it’s worthwhile to try to figure out what’s going on with your body and how it relates to kratom pill use. For the vast majority of users, kratom is a health-enhancing, mood-lifting supplement that adds many benefits to life with almost no side effects. Ultimately, your body knows what’s best for you. Let’s take a look at some of the factors which make some people consider quitting kratom. Are Side Effects A Reason To Quit Kratom? Are these symptoms enough reason to stop taking Kratom powders? It’s important to note how often you experience them. For most people, these side effects generally occur as the result of taking too large of a dose of a particular strain. By lowering the dose next time, the side effects will never occur. Other factors that can bring on side effects are dehydration and a lack of sufficient exercise and a good diet while using kratom. All of these things can – and should – be addressed for a generally healthy lifestyle, with or without kratom. But short-term side effects that you only notice now and then are generally not enough grounds to quit. Do I Have A Tolerance? For some people, the effects of kratom use seem to diminish in intensity over time. This usually happens because a tolerance has developed as a result of over-use and upping the dosage too frequently. If you notice you’ve acquired a tolerance, that’s a good sign to modify your routine, but you do not need to quit kratom altogether. Simply spread out your usage with longer breaks in between, and take care to vary the strain of product you are using each time. If a tolerance develops, do not up the dose, as this only exacerbates the problem. Instead, take a break, and next time, try a product grown in a different region. This usually keeps tolerances in check. As far as scientists and doctors can tell, kratom is not addictive. While it sometimes creates effects that some describe as similar to opiates, it is not an opiate. It doesn’t create the cycle of endorphin spikes and damaged cell receptors that opiates do. For this reason, it is not scheduled as a controlled narcotic by the U.S. government or in the most of the nations on Earth. 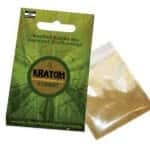 Used responsibly, there are no grounds that kratom will always lead to an addiction risk. 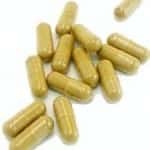 Can I Expect Withdrawal Symptoms If I Quit Kratom? There is no major withdrawal associated with quitting kratom. 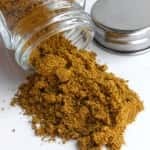 In very extreme cases, for example if a user has been taking kratom every day for years, there may be a brief period of increased side effects similar to those listed above. But these will pass quickly. None of the kinds of long-term organ damage associated with opiates has ever been seen in a kratom user. 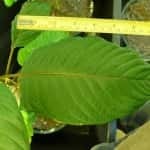 Overall, kratom has never been shown to cause serious dependencies, or hold the “grip” on people in the way that drugs or alcohol sometimes do. For most, it is an incredibly enjoyable way to bring mental and physical pleasure and balance. But, if you are getting any signals from your body that it’s time to try quitting kratom for a little while, by all means listen, and take a break from your routine. You’ll find that cessation is instant and not difficult. Any small side effects you may have been feeling will lift swiftly with water and rest. 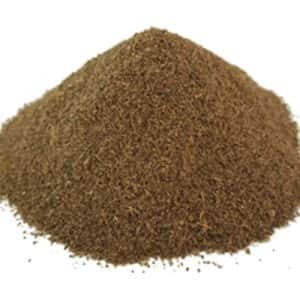 Then, after a few weeks or months have past, you can reassess if and how you would like to use kratom again. Being that people have already been using it safely for thousands of years, you can rest assured that kratom isn’t going anywhere – it’ll be available for you to explore again when the time is right.